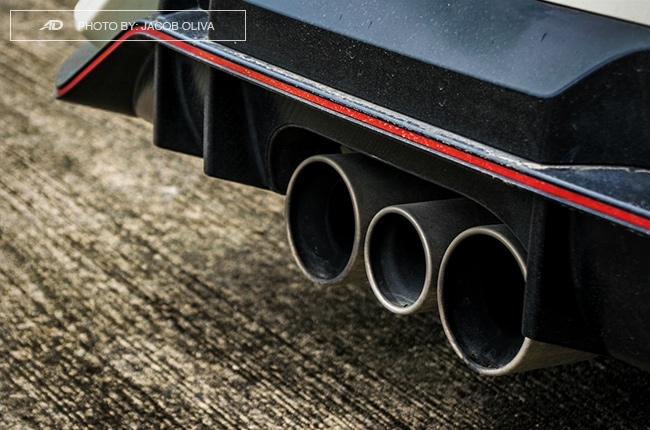 It’s okay to be a fan, especially with a hot hatch that drives this good. It’s kind of hard to start this review without sounding like a fanboy, so I’ll just drop this here: the Civic Type R is definitely first in my list of favorite cars. Let me explain. 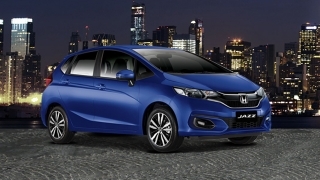 It’s not because it’s the most highly-coveted Honda out there, or because it’s an iconic compact hatchback that smashed records at the dreaded Nürburgring. It’s also not because it has a legion of followers from all over the world. 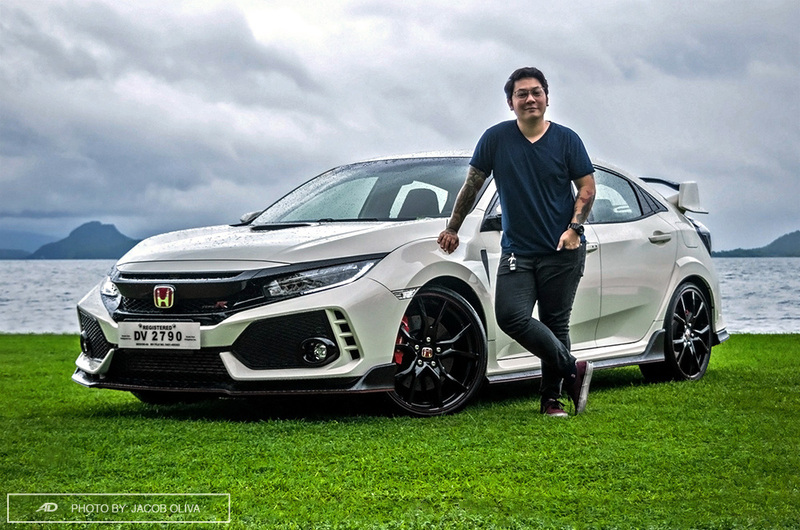 Yes, the Honda Civic Type R is a legendary vehicle, a cult classic even, but as an automotive journalist, I oftentimes have my reservations when it comes to favorites. But after having the car for several days for an in-depth review, I can't help it – it’s that good. 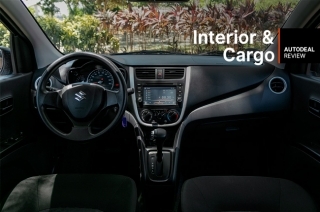 Ample and flexible space for passengers. Exterior design is a bit over the top. 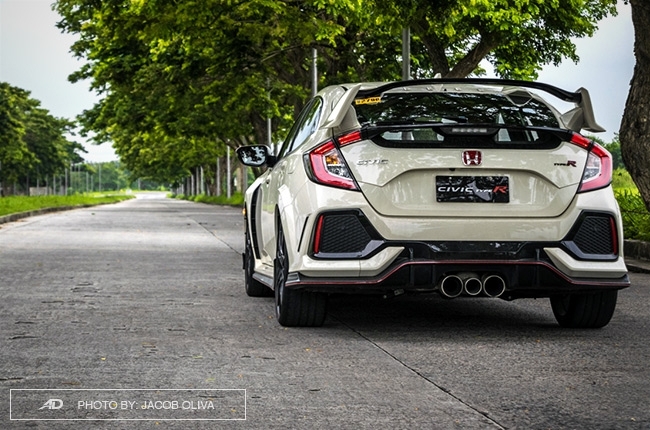 Although, I’m on the fence when it comes to the Civic Type R’s overall exterior design. Don’t get me wrong, it isn’t bad; I just find it too busy and a bit over the top. The myriad of body kits, screaming character lines, a handful of edges and curves, and two rear spoilers give the car an audition pass to the casting call of Michael Bay’s Transformers. Good thing the shower of LED lights and 20-inch glossy black wheels make this vehicle a lot better than the movies. Surprisingly, though, the excessive body kits didn’t make the car that much of a head-turner as expected. The usual onlookers are either teenagers or car nuts who actually know that it’s a legit red-badged Civic. Maybe because people are already accustomed in seeing pumped up Honda Civics that they can't differentiate the legit from bootlegs anymore. To be fair, the exterior kits aren’t just for aesthetics. They’re fully-functional, albeit, at certain speeds. 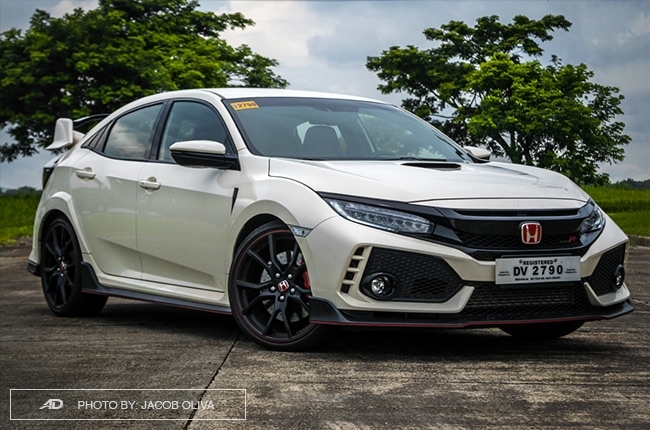 The front splitters, side skirts, and rear diffusers, all in carbon fiber finish with red lines, provide a considerable amount of downforce, while the hood scoop and meshed grille serve as entry points for cooling the engine and turbocharger inside the bonnet. And who can miss the vortex generators at the rear that look like multiple shark’s fin antennas? 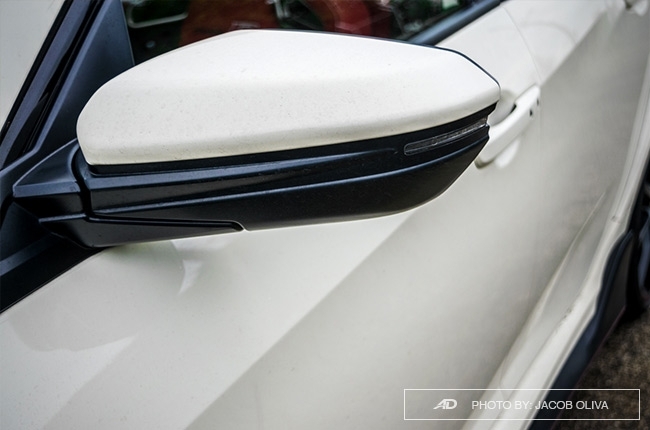 These are placed to increase aerodynamic efficiency, which, in combination with the two rear spoilers, create additional downforce. But again, these things are only functional at high speeds. 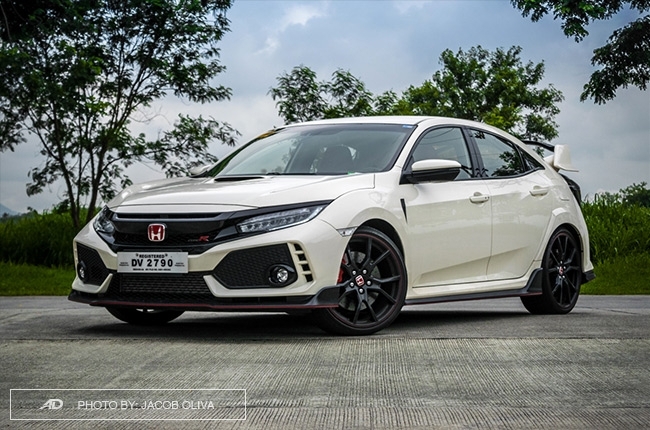 Before you start throwing stones at Honda for adding such physical kits that aren’t really for everyday driving, you must understand that the Civic Type R is essentially made for the track. It isn’t a car that your parents would approve of. 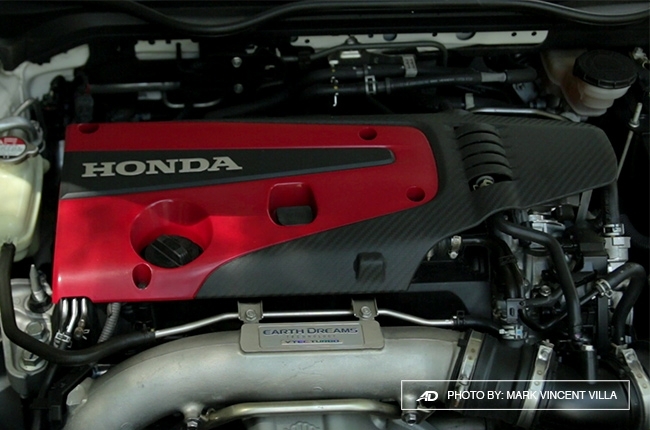 It’s built for speed, and that’s where the beauty of this nameplate lies. 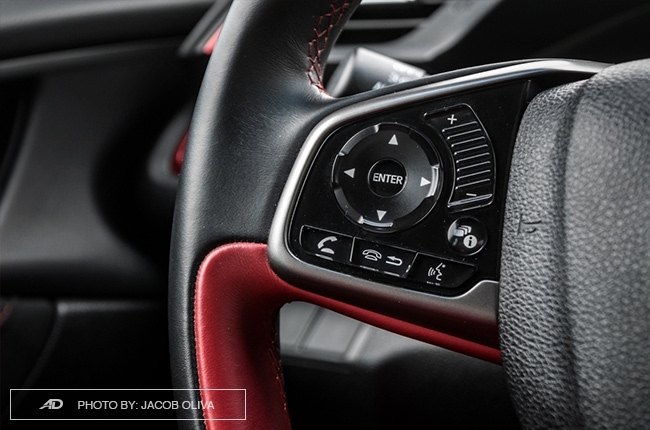 Obviously, the best place to be in while inside the Civic Type R is behind the steering wheel. 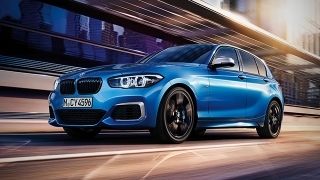 As the reigning fastest front-wheel-drive vehicle in the Nürburgring, you won’t expect anything less from this car. 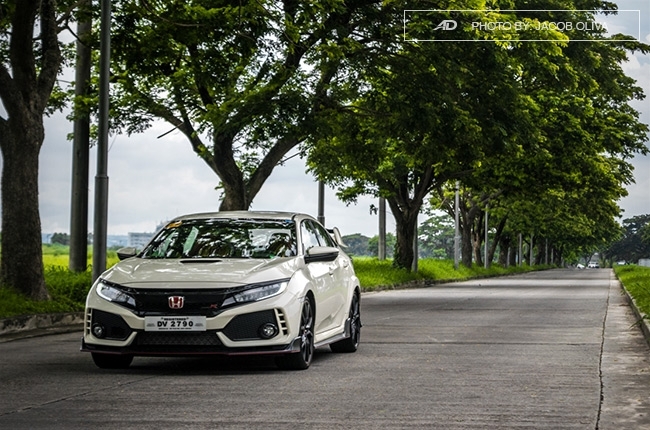 The way the 306-hp 2.0L turbocharged VTEC engine feeds power to the wheels is insane, almost instantaneous with every step of the accelerator, especially when in its default R+ mode. The 400 Nm of torque can be easily felt as early as 2,500 RPM, which guarantees that your head will touch the head rest almost every time. It’s always an exhilarating experience to drive the car, and it never fails to put a smile on my face. 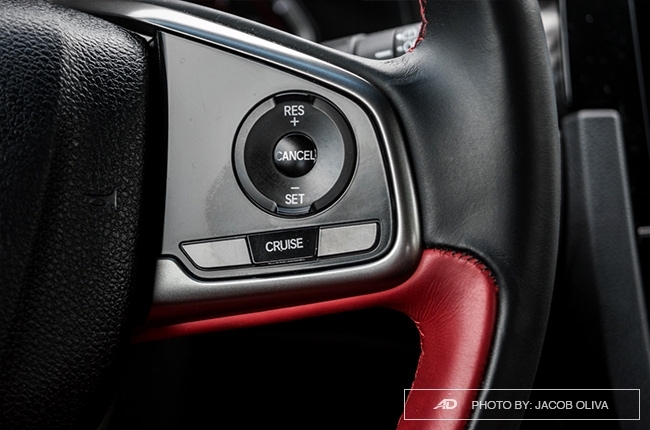 It also helps that the Civic Type R comes with a six-speed manual transmission. Admittedly, as a Metro Manila driver, I’m the type of person who would prefer to drive automatic. But the ergonomically-placed short-throw gear stick is a different story. The shifting is smooth and effortless, almost instantaneous, and it’s easy to find the clutch pedal’s bite height. It also has rev-matching that assists when you’re downshifting, making me look (and sound) like a better driver than what I really am. 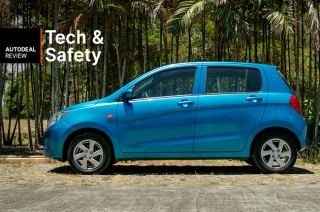 The positioning of the aluminum clutch pedal can be moved a little to the left, though, for a more relaxed position while driving. For stopping duties, there's no complain at all for its Brembo disc brakes. 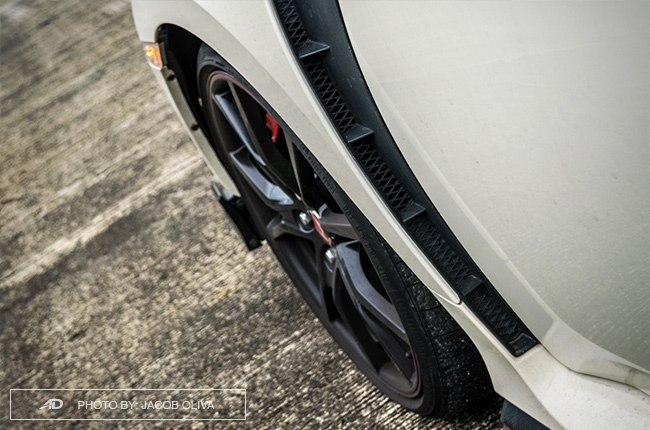 When it comes to handling, the Civic Type R is an obedient vehicle. You point, it follows. The heavy steering feel adds accuracy to the steering input. Although, there’s a bit of an understeer at speeds, but that’s normal for a powerful front-wheel-drive vehicle. 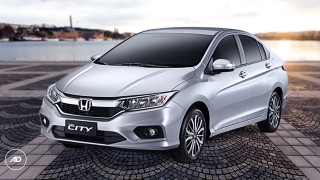 At low speeds and while maneuvering through the city, the steering feels a little lighter, but not as assisted as “normal” cars. It felt really connected to the ground. Switching to comfort mode tames the beast a little. 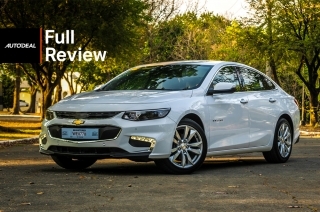 The power delivery isn’t as rude as before and the suspensions are a little softer. I call this “when parents are riding with me” mode. Kidding aside, this is also the time where you can save up on gasoline (sort of). I was able to get 18.5 km/L with an average speed of 90 km/h on the highway while in comfort mode, while crawling in the city clocked in 4.8 km/L. Of note, these figures were achieved when driving in a no-fun manner. The Civic Type R’s personality on the road is matched well in its interior, at least in the looks department. The shower of bright red trims is hard to miss, especially the seat belts. 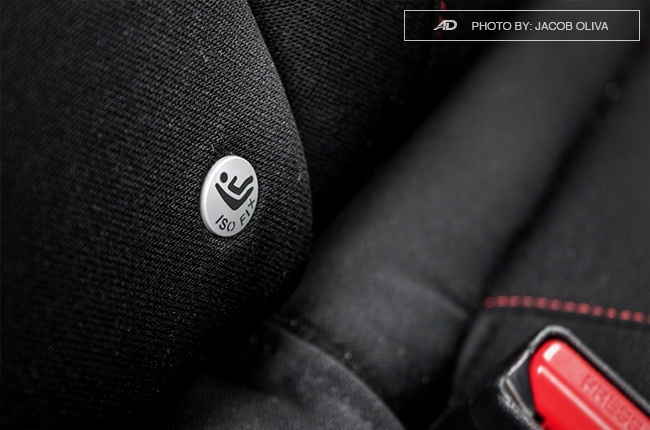 The manually-adjustable Type R bucket seats in front are clothed with suede-effect fabric, and so as the door panels and the center console box. 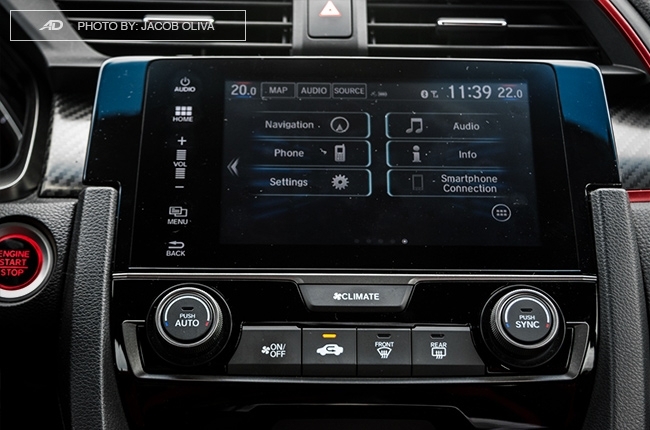 This material feels nice to the touch, but it’s a dirt magnet, too, so expect lints in the cabin. 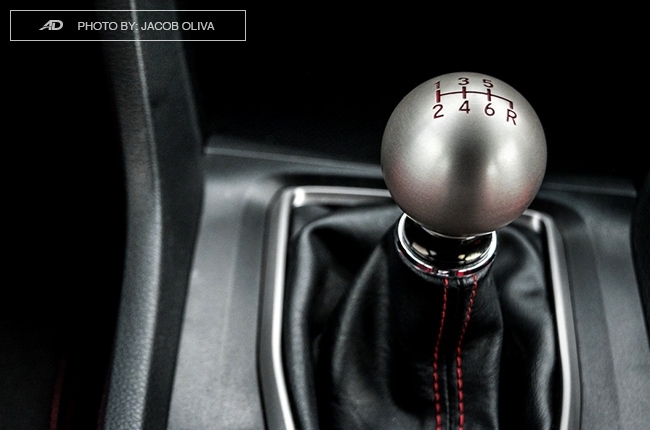 My favorite part is the titanium gear shift knob, which is a pleasure to the eyes and touch. 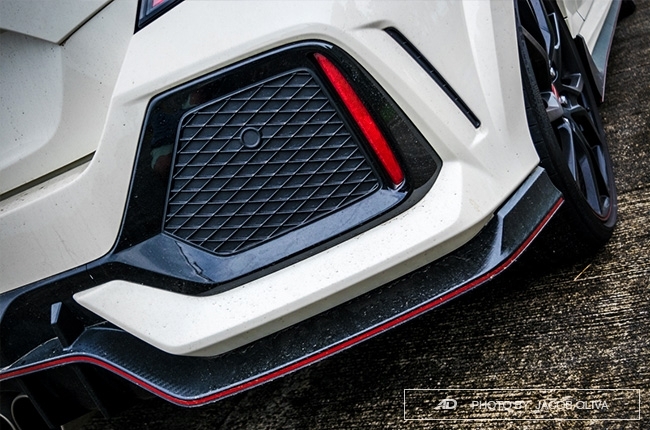 At first glance, the cabin of the Civic Type R may look like a legit race car, but I was a bit surprised by its driver-convenient features such as electronic parking brake with hold function, automatic lights, rain-sensing wipers, cruise control, and automatic dual-zone climate control. Gone were the old Type Rs that have stripped down cabin amenities for weight reduction. Not complaining, though, as it made the experience better. 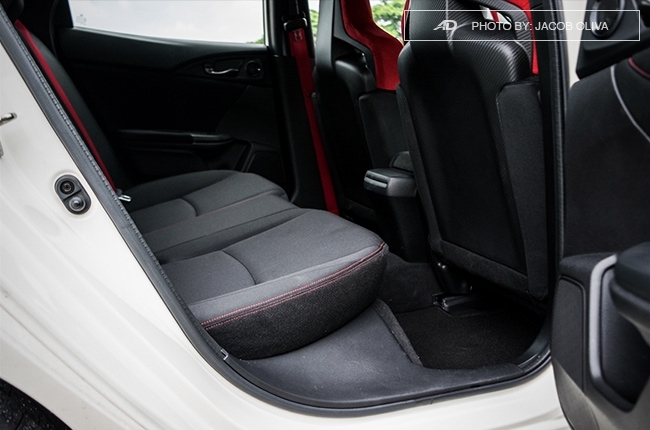 While the space in the front seats are a bit cramped because of the center console, the rear leg-, head-, and elbow-room are abundant for two people. Yes, just two. Although there are boatloads of space for another passenger, the middle part doesn't have a seatbelt, so there’s that. There are no rear air vents, too, but the air conditioning works fine to cool the entire cabin quickly. 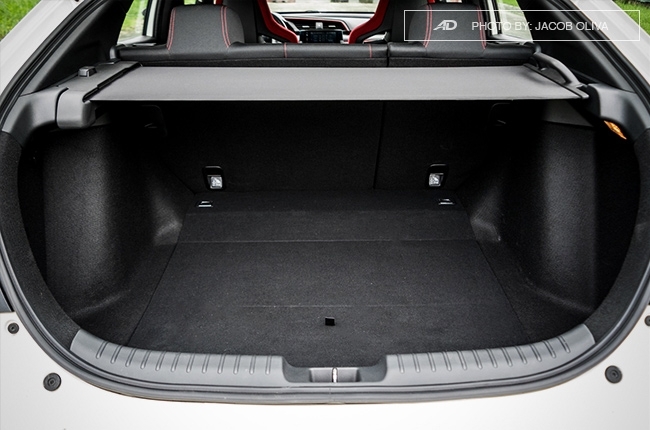 The ample space is also seen at the trunk – 414L of it. And you can double that, too, just like regular hatchbacks. With the trunk lid rolled off and the seats folded flat, you could probably fit a refrigerator inside the hatchback because, why not? As for comfort, I didn’t expect much from the Civic Type R. It does absorb road imperfections but not without a little body shaking. 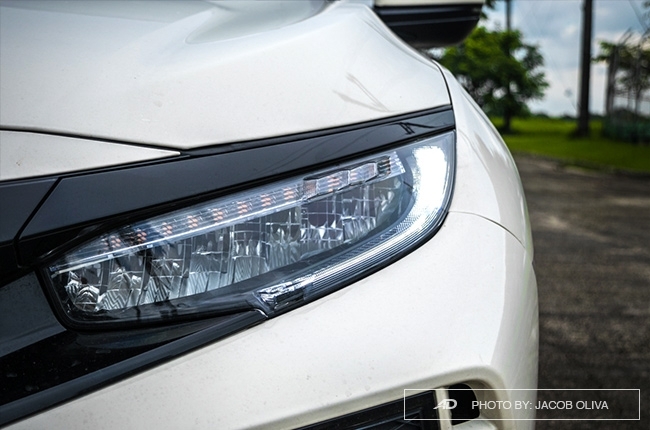 However, when compared to other sports cars of its class, the Civic Type R’s ride quality is better. This makes it suitable as a daily driver, or even on long trips. 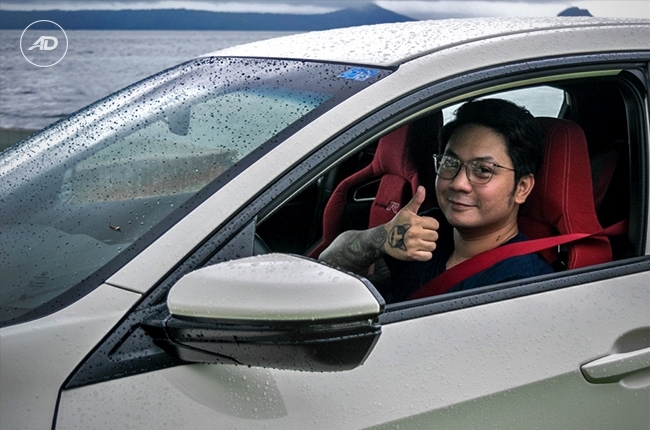 I kid you not, I was able to do a 100-km uninterrupted drive without any complaints of body pains even with the bolstered seats. NVH levels aren’t that insulated, but then again, expectations. Trust me, you’ll appreciate the sound of the high-revving engine while driving. I wish I could say the same for the people you pass by because it’s relatively quiet, which makes the triple exhaust at the back a bit of a waste. 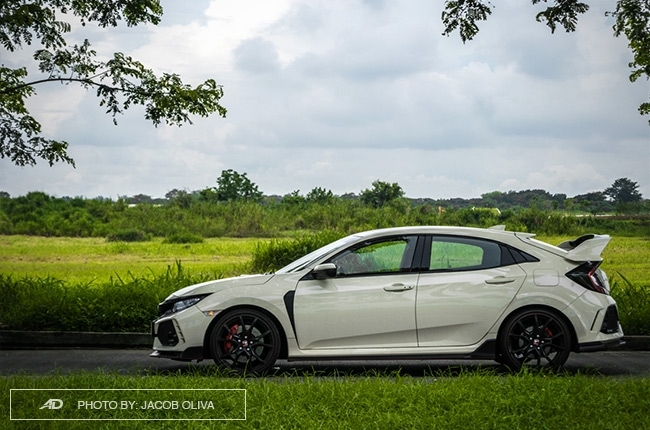 The 2018 Honda Civic Type R is one solid sports hatch that could make anyone fall in love when driven. The waves that its arrival made last year were all worth it. All the years of waiting didn’t go down the drain. All the hype, all the rave, all the great things that people from all over the world say about the car are real. 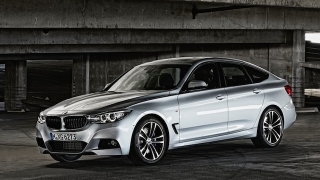 It’s not as comfortable as executive sedans, nor as versatile as high-riding SUVs. I even have the tendency to dislike its overall exterior design. And yet, I love it. 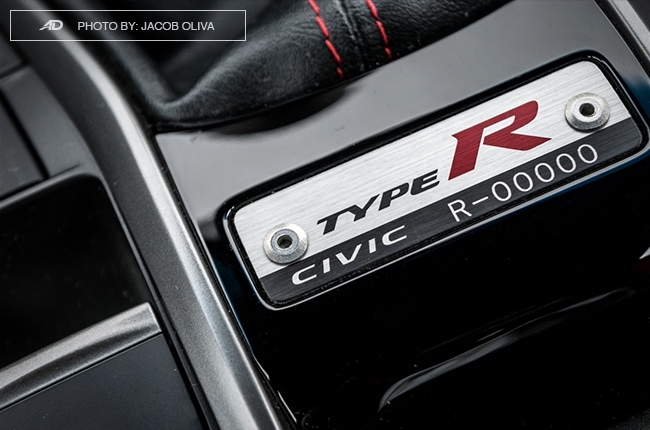 Now I know why the first 100 units of the fifth generation Civic Type R sold out within 48 hours – it’s definitely a nameplate that should be seen inside your garage. 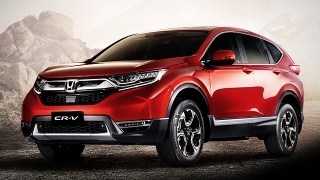 Fortunately, Honda Cars Philippines, Inc. (HCPI) announced another batch this year, which, as the company confirmed, has its reservation lanes still open as of this writing. HCPI has yet to announce its new pricing, though, but I figured it would still be close to P3-million with the new excise tax rates. Yes, it’s a little pricey, but that’s going to be worth the experience of owning and driving this iconic hot hatch.